You might hope, when getting a spiritual successor to the beloved role-playing game Planescape: Torment, that it would have many, many words. You would be correct. 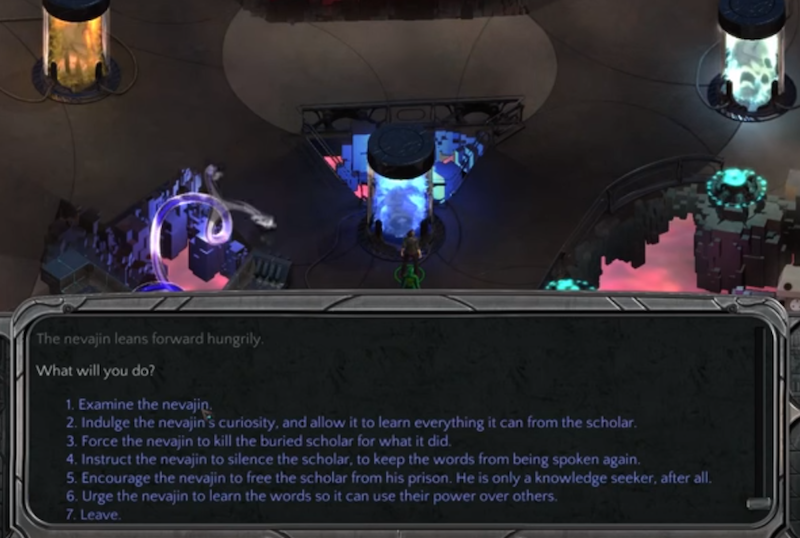 Although there’s still no final release date for Torment: Tides of Numenera, the Planescape successor that was Kickstarted back in March of 2013, the game did enter Early Access last week. The build you can buy right now is essentially a beta. By all accounts it’s full of bugs. Yet it’s also a good indication of how the game is progressing—and, most importantly, how many words it has. I mean, just look at the screenshot above. Look at all the CHOICES. Fallout 4 this ain’t.